Castelsagrat is located in the Quercy Blanc, also known as the Tuscany of France, due to its landscape of sunflowers, cornfields, vineyards and orchards, set in warm, rolling countryside. Amongst this tapestry, you will find some of the ”most beautiful villages of France”, selected for the quality of their heritage, architecture and environment. The region has something for everyone, whether you appreciate art and culture, sporting activities or just enjoy the simple life. 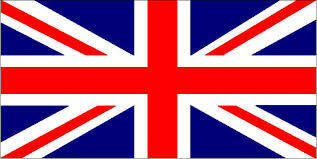 Below, you will find a small selection of the local possibilities. Castelsagrat is an authentic hill-top bastide equipped with a traditional baker, post office, epicerie, bar/restaurant where many locals hang out, and of course-the inevitable hairdressers! 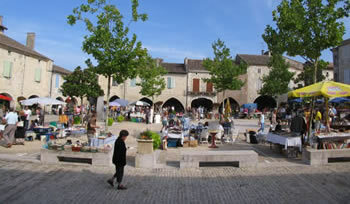 On Easter Sunday and also in August, the village is host to one of the many Brocantes (antique or flea markets) in the area, a real delight for antique lovers or any one looking for a bargain. 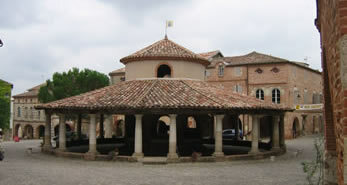 Moissac (15 km) is a city with a medieval centre, which lies on the pilgrim route of Saint-Jacques de Compostelle. 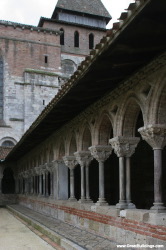 The Abbey convent with its splendid Romanesque cloister is one of the stopping places for the pilgrims. All day long it's a bustle of back-packers and other tourists. At the weekend, the town comes alive with it’s markets, full of the very fresh seasonal produce that can be found in all the local markets here. 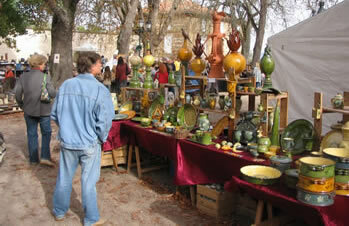 You can visit local artists and craftsmen in the Rue des Arts, or simply pass your time by the canal or the River Tarn. 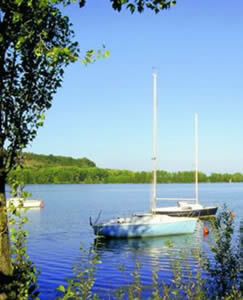 5 minutes from Moissac is the confluence of the rivers Tarn and Garonne at St Nicolas de la Grave. Here you can participate in many water activities including fishing, swimming, sailing and wind-surfing, it is also a big attraction for bird watchers. 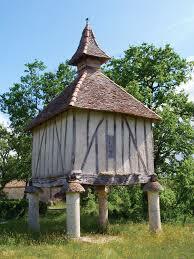 Auvillar (15 km) is a medieval village with a wonderful panoramic view over the Garonne. For autumn visitors, there is a colourful pottery fair, which takes place around the ancient corn-exchange. The local market town of Valence d’Agen (12km) is totally unspoilt and has an excellent market twice a week. On Bastille Day the streets are full to bursting with everyone enjoying the food and wine, fireworks and dancing in the square. In August there is a wonderful performance of "son et lumiere", which takes place on the banks of the canal. ”Au Fil de l’Eau – Une Histoire" tells the history of life along the canal, with many local people taking part. 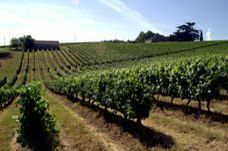 If you are touring the vineyards of S.W France, do not miss trying the little-known appellations of Saint Sardos, Bruhlois and Fronton, together with the Coteaux de Quercy from the neighbouring department of the Lot. These wines are very popular locally for their interesting flavours and are good value for money.